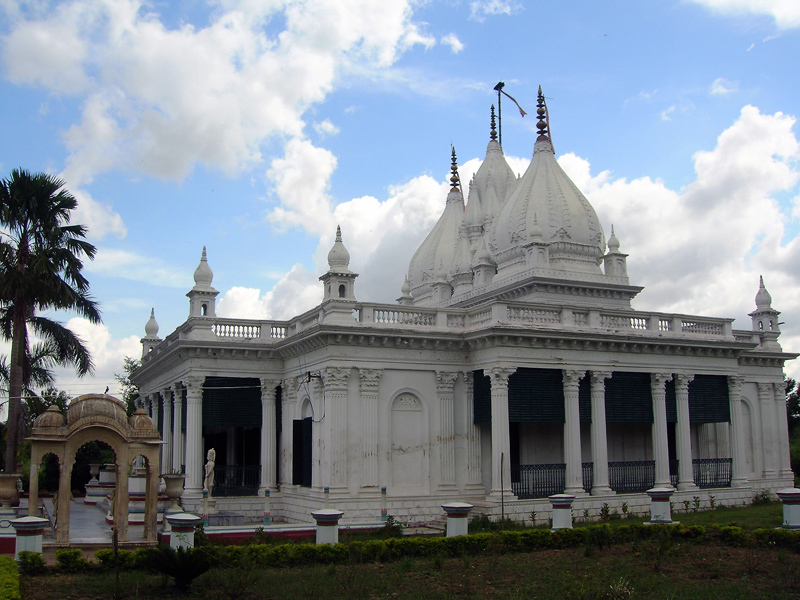 Kathgola is a suburb of Murshdabad, once the capital of Bengal Bihar and Orissa and the Murshidabad Nawabs were the rulers. It is rich in time-honored monuments. A fine-looking, impressive Adinath Temple also known as Kathgola Temple is in the Kathgola Gardens and is being visited by lots of tourists. Dedicated to Bhagawan Adishvar, the idol in padmasana posture is an ancient one, about 900 years old, but the temple was built in 1933 by one Lakshmipat Singh Dugar, a business man of repute. He belonged to Rajput Chauhan dynasty and was known for his credibility and integrity. The idol in the sanctum is a 90 cm white in color. There are 17 other images of Jain Tithankaras and other deities. Known for its amazing architecture, the temple has fine onion-shaped large Mogul-style domes and dadabari dedicated to jain saint Jinadutta Suriji Maharaj adjacent to the Adinath Temple. The dadabari has a pair of Charans of Guru Jinadutta Suriji Maharaj, and it is believed, was built at the same time when the main temple came up. The temple is in the midst of a beautiful garden, close to historical Kathgola palace, and a small zoo. This place used to be a lumberyard before the palace was built, hence the name kath (wood) and gola (warehouse). The temple has fine Rajasthani-style sculptured images, jain paintings, Mosaic flooring and stained glass doors. Wall plastering seems to be in local style. 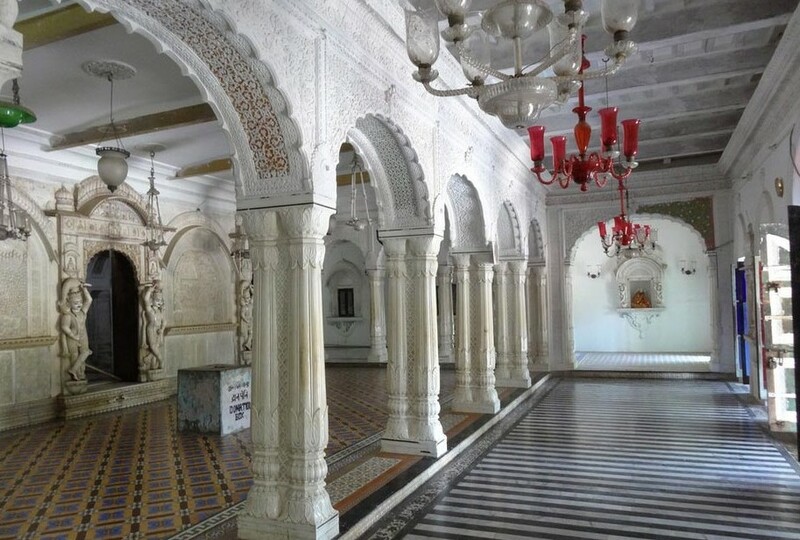 As in all Jain temples, inside it is unusually calm and the quiet ambiance induces the visitors to relax for a while before getting on with their mundanelives.